Lemon Productions offer a variety of design solutions at competitive prices without ever compromising our commitment to customer service. We offer a variety of solutions for business design, print and web design, with extremely competitive rates in all these areas. Our costs are always worked out before we proceed with a project, ensuring that we adhere to the quote given to the client. We can save clients money; for example by sharing documents online we avoid unnecessary printing, which both helps the environment and keeps down postage and distribution costs. We are able to offer very reasonable website prices because, unlike other web design companies, we do not insist on using a Content Management System, which initially has high set-up costs. What's more, we offer comprehensive maintenance packages for our clients to ensure that they can receive the best-value updates and alterations to their site and know exactly how much it will cost up-front. Lemon Productions provide completely bespoke design solutions for all customer needs. We never use templates, which gives a more polished look to stationery documents and websites. We understand how good branding across all platforms can boost a company's image and improve product sales. That is why Lemon Productions take care to develop a consistent design language for each client, with design elements that can carry across all aspects of their image. We pride ourselves on our work with clients to give them results that they are pleased with, whatever their needs may be. Following an initial consultation we will produce a variety of design concepts to present to the client. Once an idea has been selected, we can refine it, mixing in features from different design ideas if requested. Only when the client is completely happy with this do we go ahead and produce finished artwork or start building a site. We use a variety of different industry-leading 2D and 3D design tools to achieve the best effect for all designs. Our secret to good web design is navigation, navigation, navigation. We work with clients to plan out all the content they might possibly want on their site and then work out the best way to make it all accessible on the web. After all, there's no point in having a great website if visitors find it difficult to quickly and easily find the particular information that they want. We give extensive support to clients after a project is complete. This ranges from helping a client to set-up their letterhead in Microsoft Word, to managing changes to their website. What's more, Lemon Productions provide technical support and advice on I.T. matters to clients through our sister company LemonAid. 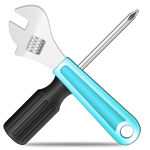 As part of our website maintenance we include I.T. training for clients. Our website support gives clients the ability to easily make updates and changes to their site for an up-front cost. While some web design firms favour Content Managed Systems that allow the client to make changes to the site directly, we understand that these systems can be complex and daunting for clients who would prefer to just send an email and get the changes made by an experienced designer. This approach has the added benefit of a low initial cost, which meets the needs of most small businesses. All of our clients receive a personal service; offering a friendly approach and advice. W e believe that only by working closely with a client can the best results be achieved. We always consult our clients at every stage of the design work so that they are able to provide their feedback on the project. This is at odds with the approach taken by some other firms, who ask clients for their ideas at the beginning of the project, to then proceed with a design, creating finished artwork, even before the client has seen it; a concept which clearly has its faults. Lemon Productions use the latest technology to create all our work, be it the latest web design standards or innovations in publishing like iBrochures. As far as possible we keep away from proprietary technologies like Flash, which was once commonly used on the internet but is now in decline. We keep up-to-date with the latest specifications from the internet's ruling body, the W3C, as well as learning the latest techniques for web coding. Our dedication to web standards is important for ensuring sites work as seamlessly possible across all platforms ,including the new mobile platforms like the iPhone, iPad and Android devices. 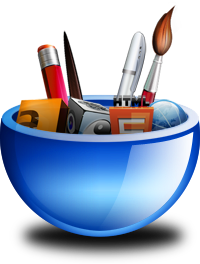 All our sites are quality tested on all major platforms and browsers to ensure compatibility. We can even send clients pictures to show how their site will look on different versions of Windows or Mac OS X running Internet Explorer, Safari, FireFox and Chrome browsers. We can even develop websites optimised for mobile platforms that mimic a native application, ensuring the best possible experience for users viewing the site on-the-go. We keep up-to-date with the latest trends in publishing, such as iBrochures and eBooks. iBrochures are based on Adobe's PDF technology to create interactive documents that work well online, but are formatted so that they look just as good when printed. With iBrochures from Lemon Productions, clients can have one document suitable for both online and print distribution. We can even create ePub documents that are suitable for the growing trend in eBook readers. Our eBooks will work on the iPad, Kindle and other eBook readers. Lemon Productions have built-up strong relationships with professional printers as well as contacts within different industries. This allows us to guarantee great quality from any printed media that we produce and can recommend print suppliers to suit any budget. We do not provide hosting for websites but can suggest reliable, cheap solutions from our highly reputable suppliers and can deal with them on your behalf to secure your domain name and hosting. These are just some of the reasons why Lemon Productions offers the whole package to meet the design needs of any small to medium business in every aspect of their advertising and branding. Our exhibition is in-part made possible by the support of Lemon Productions. As a non-profit organisation, we work to a limited budget and require plenty of design-work to keep attracting the public to our event. Lemon Productions has kindly given us discounted rates on all posters, banners and websites produced for our exhibitions and continues to develop our brand to help make our events successful. I have worked with Richard at Lemon productions for around eight months. We got in contact with because Richard was recommended to us and also we were impressed by the work he had done on other web sites. Richard has always been clear and dedicated to ensure that we are well-informed on progress of the building [of] our site and maintaining the site. The real success of our web site has been the download page. We offer a lot of free resources which we had to print and post to over 100 people every six weeks and now that is less than half the amount because of the web site, which has not only saving us time but money as well. 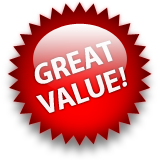 Over all Richard has offered us an excellent, reliable and honest service. Richard has been a fantastic, helping me to promote my work. I am very pleased with the website that he produced and we have a good working relationship. My site is regularly updated with new artwork , which Richard comes to photograph, and news about my open studio dates. He also produced a business card for me that has had many compliments and I am commissioning him to produce a series of greetings cards featuring my photography. Richard Tanner of Lemon Productions has maintained & evolved my web-site to the success in promoting my service through good times and bad for the last six years, culminating into an easy working relationship to the point that I am relaxed into knowing he will give good advice and best of his knowledge to maintain my web site as well as can be. I frequently receive compliments about my website from my guests. Lemon Productions have been an invaluable service since they first designed my website in 2003. Not only did they deliver a full-featured website at the time, but have also continued to improve upon in with incremental upgrades. They have also produced fantastic business cards and advertising literature for my services as well as producing printed DVDs and packaging for my customers. As well as giving me great technical advice, Richard has even helped at events and produced promotional materials for me on-the-spot.